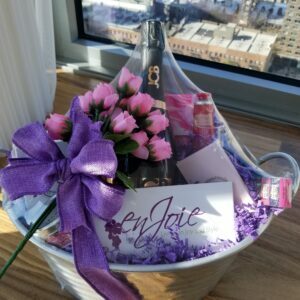 Give your love the gift of this perfect luxury gift basket! Ships in a sturdy wood wine crate for a creative touch. Includes a variety of items to perfectly complement a romantic evening in. Floral scented candle for added ambiance. Your love will delight in the decadent chocolates included in this basket. 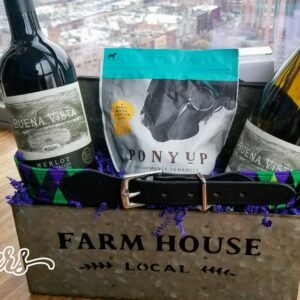 This gourmet gift basket is the perfect gift for that special someone in your life. 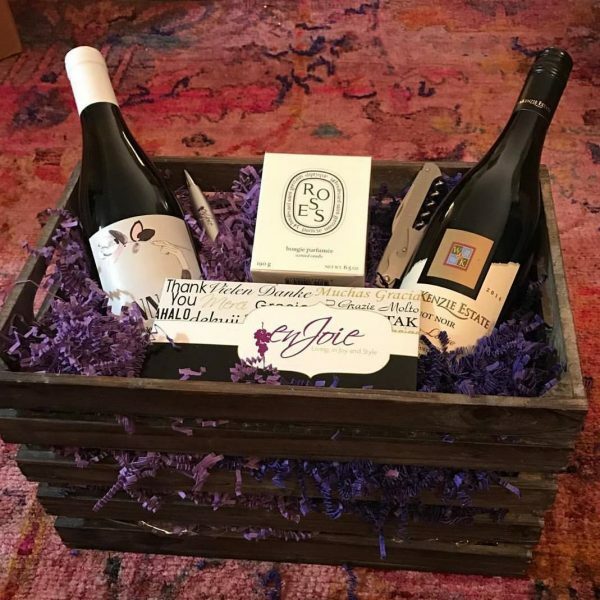 This romantic wine gift basket includes two distinctly different bottles of wine: a sweet, smooth Tuscan rosé and a deeply rich American pinot noir. In addition to these two fine bottles of wine, the your recipient will enjoy a lightly scented rose candle, gourmet chocolates, and a USB pen to memorialize the special moments you’ve shared. 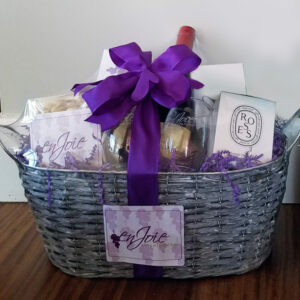 To send this amazingly romantic and thoughtful wine and food gift basket to that special someone, order yours from enJoie today!